In spiritual life, to give is to receive. Bhakti yoga teaches you how to give to the highest. All major religions teach their followers the law of donating 10% of one’s earnings. Jagadguru Shri Kripalu Ji Maharaj calls this ‘spiritual income tax’. 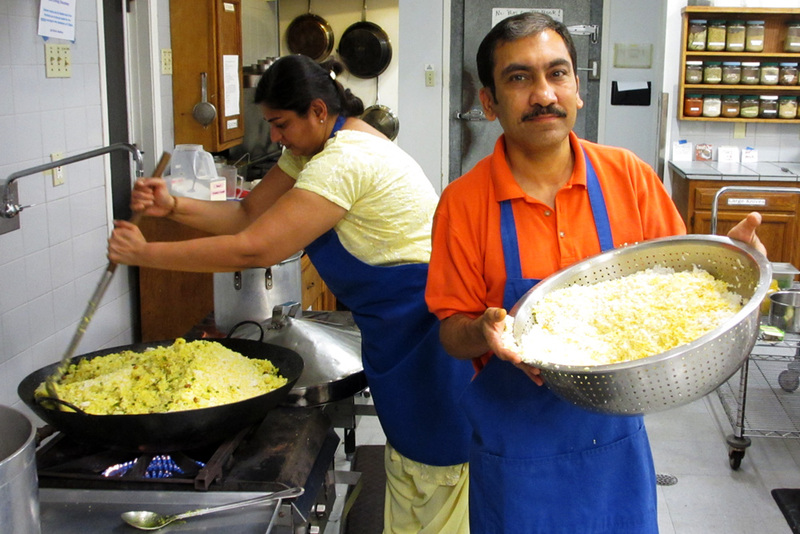 In Hinduism, seva is considered synonymous with surrender. When done with the right intention & feelings of servitude ‘seva bhavna’, it enhances ones devotional experience and becomes the cause of their spiritual progress. Mental Seva: Performing any service from the mind, while remembering them lovingly. In essence, seva done with mind is considered the highest form of seva and can be done by all. However, seva with physical body and wealth should also be done according to one’s individual capacity. If done for the pleasure of God seva provides the aspirant with exponential spiritual benefit. 4. charity offered to a tamas person produces a tamas consequence. So, wherever you will make a donation, accordingly you will reap the fruit. The charitable works of JKP’s worldwide mission are done to to improve the material welfare of society, by serving the poor and the underprivileged. Lack of education, poor medical facilities, and malnutrition are problems humanity faces in every part of society. Whether it is in the impoverished rural villages of India, or in the underdeveloped areas of America, JKP’s organizations around the world humbly strive to alleviate these needs by providing a helping hand wherever possible. JKP Radha Madhav Dham is a 501(c)3 non-profit organization that conducts religious, educational and charitable programs throughout the year. Our charitable activities are supported through generous donations received from individuals like you. If you would like to make a tax exempt donation today, please click the button and give from your heart. Even if a man is given all the possible material possessions anyone could ever want, his desire for more will be exactly the same as it was at the very beginning.